Let’s video chat on Tango! I’ve been using Tango to keep in touch and it’s great! To the unbelieving world of Roman Catholics, Lent is the season for fasting, abstinence to commemorate the passion and death of Jesus Christ on the cross. Apparently, this is not the time to be happy specially from Ash Wednesday to Good Friday and Black Saturday as they relive the time when Jesus shared with His disciples the last supper, to His captivity and death (Good Friday). To some extreme measures, others even share the Lord’s suffering by having themselves literally flagellated and crucified as “penance for their sins”. This practice is prevalent in the Pampanga, Philippines. To a depraved mind, this may sound noble, humble and repentant. But as far as the Doctrine of Sola Srciptura (Scriptures alone; what is asserted without the Scriptures or proven revelation may be held as an opinion, but need not be believed- Martin Luther), this may prove otherwise. As I was browsing for the net for apologetics on Lent/Roman Catholicism, I stumbled upon this article by John Malone of www.biblestudy.net and I found his musings on the subject matter to be interesting so I decided to share it. One of the practices I left behind when I received Christ as Savior 32 years ago was the keeping of the “Lenten season.” The wholesale adoption of this Roman Catholic version of ancient pagan practice by what was once Protestantism is indicative of the departure that marks our day.Now let me be clear here: I have no qualm with anyone’s religious practice, within civil bounds. If someone wants to re-enact the weeping for Tammuz, or some other pagan practice, I consider them free to do so. My issue with “Lent” is the Christianizing of it: the attempt by ignorant or dishonest men to sell the practice to the unsuspecting as if it had to do with faith in Jesus Christ. Roman Catholicism acknowledges: “The Teutonic word ‘Lent,’ which we employ to denote the forty days’ fast preceding Easter, originally meant no more than the spring season.” Indeed. Throughout the world, one can find ancient (heathen) ritual practices – many referenced in the Bible – which accommodate themselves seasonally. Perhaps nothing pinpoints the ascension of Bible-condemned clerisy, “the Pharisee-izing” of Christianity, the paganizing of Christendom, and the confusion reigning today than the promulgation of “the Easter season” (unless it’s the promulgation of “the Christmas season!”). As is the case with so many “religious controversies,” the fountainhead of this one has to do with the rise of Constantine as the unified emperor of Rome, and the politicizing of the Christian faith as part of an attempt to consolidate a political base in the face of a fragmenting body politic. By the time of Constantine, roughly 300 AD, the Roman empire featured a splintered leadership (4 ways) – ironically similar to the way the Greek Empire had split after Alexander – demonstrating that primogenitor had failed. Constantine was the son of a politically motivated general (certainly something not lost through the ages) who had found his way into the emporer’s broad household through a second marriage. Constantine employed a form of politics that has since been heavily replicated. He did not invent the form. Because he needed to break into an status quo political hegemony, he needed to appeal to the disenfranchised – without substantially offending the bourgeoisie – in order to gain requisite political support. Those disenfranchised groups could be substantially found among Christians who were spread throughout the empire, and eastern empire factions who were regarded as second-class (or even thrid class) entities in the empire. What is amazing today is the near wholesale adoption of “Lenten season” by supposed “Protestants” and “evangelicals!” What was once distinctly Catholic – and pagan – has now become commonplace in nearly all churches. The gospel has been nearly lost by churches, whereby it now becomes “God’s do over,” or “a second chance,” instead of God’s gracious declaration and imputation of actual righteousness to the believer on the basis of faith alone in the meritorious works of Christ alone. As it has become mired in works-based junior forms of Romanism, it’s no surprise than abominable ritual practices with roots in heathenism are taught to God’s people. As for me, I want no part of such abominable practices. “Lent” is one of the pagan practices which migrated into Christianity, and can be traced to the worship of Mithras. By the time of Constantine, it was a tradition in the empire, adopted as it was from the ancient Babylonian system via the mystery religions extant throughout the empire. The “strength” of the Roman empire was its ability to rapidly absorb the culturs it conquered. For instance, Greek philosophy and language had much more impetus under Rome than under Alexander and his generals, because Rome adopted and seized upon the system of thought and language for the privileged class: it was no big deal to speak Latin, but if one spoke, read, and wrote (classical) Greek, he was considered highly educated. This snobbishness, hinted at in Romans , continues to this day. Rome absorbed the Bablyonian’s religion, the Persian system of roadways and commerce, and the Greek language arts and military strategies. So it is no surprise that Constantine readily “absorbed (viz. co-opted and usurped) Christianity,” and co-opted the Indo-European people with his New Rome at Constantinople. Now, Lent is a piece of that Mithraism underlying the mystery religions, “replacing” as it does the season of “weeping for Tammuz.” In fact, this was one of the ancient abominable practices Israel had adopted resulting in the punishment by God that was the Assyrian captivity. These who have abandoned the simple gospel of the grace of God, Who graciously imputes real righteousness to anyone who believes in Jesus Christ – on the basis of faith alone in the meritorious substitution of Christ alone – and replaced it with a system of works to be saved, prove you are saved, or stay saved, will readily adopt empty and abominable ritual practices which also hearken to some lame strata of Romanism! As for me, I’m not the slightest bit interested in adopting such pagan, anti-gracious, abominable practices. In our Bible class yesterday, our pastor regarded it as another year closer to the Lord’s coming. Consequently, judgement, separation of the sheep from the goats and eternal damnation for those who did not believe and eternal life for those who believed (John 3:16). Come to think of it everytime a new year ushers in, the world hopes for all good things to be better in terms of business or money, love/relationships, career, etc- whatever it takes whether to get a good luck charm, a chinese rabbit idol and other . But how many have ever considered how to spend their eternal life? When the time has come for the Lord’s return, all those who blasphemed him, denied his diety, mocked him, hated him, did not believe him and made fun of his followers will see in front of their eyes but by then it will be too late. Honestly this scares me, for everyone else close to me who still have not believed that the only way to the Father is through His Son Jesus Christ (John 14:6). To them that have not repented to this day, I pray that God in His sovereign mercy would save them too. For until then, they will all likewise perish (Luke 13:3). What do you want to be when you grow up? I myself wasn’t spared from the overrated question when I was little, and in fact I found myself asking the same question to little kids when I got older. But the reality of it is that, kids don’t really know or understand what they want until they taste a slice of real life each time- as the years pass by. In as much as this really doesn’t serve its purpose in my opinion, we do love hearing them speak out in their cuteness with answers from the silliest, funniest to impressive and kid-smart things of that nature. I go way back when I was about 5 years old when my mom always takes me to the grocery with her . I remember watching the cashier punch the prices of the merchandise to the cash register (back then, I knew it only by the name “makinilya”/machine). And by the time they are finished, my mom pays for the items in our cart. That’s what I wanted to be back then. I thought that not everyone can operate the “makinilya” so I said to myself that those who can must be very intelligent and is highly respected. Everytime the cash drawer opens, I see bundles of money and quite a stash of coins and I thought they all end up in the cashier’s pockets at the end of the day. I told my mom then, I wanted to be like them because they are very rich and they keep on collecting money. Soon I would find out after she explains to me the principles of trade in the simplest way she can, that what I thought I wanted wasn’t really so. When I got into an exclusive roman catholic school for boys where “holy masses” were held as regular as the homeroom classes, I wanted to become a priest. But when we had our 3-day recollection at the school’s out-of-town seminary facilities, we got to mingle with the young “priests-to-be” as our “big brothers” and got a taste of what’s it like to be one of them. I thought that their life was kinda confined inside the walls of the seminary. They would wake up so early in the morning just to hear mass and all they did the whole day was to study-pray-sing-eat-study again-cathechism- eat-sleep… It was like their whole lives are everyday “Sunday school” and that didn’t appeal to me at all. The funny thing is, they brought us there to encourage us to be priests and it turned out otherwise for me! So on to the next dream, I want to be a teacher. Yes, that was more like it but that didn’t linger on for long because I’ve seen how hard it was for teachers to handle a whole class of unruly students. There was never a day when teachers don’t get angry and I wouldn’t want to be in that kind of disposition. I also wanted to be an actor and wanted to be in the television shows and soon in the movies. But the first time I saw a movie that has kissing scene on it, I thought it was embarrasing. There is no way I’m gonna kiss on screen for everyone to see. In fact, the idea of kissing seemed disgusting to me-of course I was a kid back then. I wouldn’t be able to count all the things that I wanted to be but if there’s one thing I always remember, that would be my mom’s dream for me. She’s always wanted me to become an engineer which is really far from any of the ambitions that I wanted. Well at least back then, because there were certain times I wished I was. The last biggest dream job for me was to become a singer. That started when I began to have interest in music when I was in 6th grade. Of all the aspirations I’ve had, this took the longest time to linger. In fact, I still play with the idea sometimes- even up to this point in my life. Who cares if I’m not a good singer technically in the age where “manufactured talents” would pass as recording artists. I would love to see my picture on CD cover arts, or my name on scrolling marquees and a giant billboard of me outside the coliseum where I will be performing in front of a sold-out crowd. And my songs would be on top of the charts and radio countdowns. Even the idea of signing CDs in a record store thrills me. This is definitely where I wanted to be- on the set filming my latest music video for MTV, in the studio perfecting my craft and on the stage, up in lights bringing out the best of live music amidst thousands and thousands of screaming fans. And for crying out loud.. none of them came to pass. I wanted to be somebody else other than what I am today because I wanted to make a mark. I want to be able to have something that I can call an achievement. Something that’s so not everybody. Forever passed by and I still didn’t see the slightest chance of it happening soon and ever. It’s time to let go of that childish fantasy and get over it for good. To date, I’m sitting in front of my computer in an office thousands of miles away from home. I ask myself this question: “What have I achieved that I can be truly proud of?” over and over again. I was never an honor student, I’m not any of those who have two or three-letter acronyms along with their names as titles. So what am I, other than the ordinary person I am today? How far have I come from the kid I was with big dreams without materializing any of them? I remember what a friend told me recently. He said that being able to provide for my family is my achievement. Which got me into thinking that he was right. For about a decade now, I have been my family’s source of practical life. I was able to send off my youngest brother to medical school and is now a certified Physical Therapist and is now in New York city trying to make it through. And I remember what I told my mom when I was young. I told her that she won’t get old working and providing for us being a single mom like some of the families I knew. Now she doesn’t have to work like she used to. I would say that working abroad did make a difference at least in our family. I don’t necessarily earn thousands and thousandds of fortune but I earn enough to provide for my family over the years and a little more than enough to be able to get the things what I thought I could never have. There was never a time when we were in dire need and didn’t have any since I got here. More than anything else, I believe that man’s hopes and goals are nothing but futile endeavors however hard they may have worked for to get to those dreams until God in His Sovereignty allows them to happen. Not many people understand this specially those who don’t have God in their lives and just trust their own abilities. Now as I see it, He didn’t allow me to become any of those because He brought me here. Ironically, this is where I was introduced to Christianity in its true Biblical sense and later on became a believer of Jesus Christ- of all the places, in a very strict country in the middle east and that has made all the difference. I used to envy those who are very successful in their careers and get paid to do what they really want but everytime, I’m always reminded by the Scriptures not to envy them for they have already received their rewards on earth. Come to think of it, if I were living my childhood dreams and became so successful I may not even have any space and time left for God in my life. I would have been too busy with interviews, signing autographs and attending the Grammy’s (now I’m really dreaming big time!). God shut me off with those stupid dreams and that’s why I didn’t make it. Instead, He gave me the better end of the bargain… way, way better for my reward awaits me in the eternal life. What To Buy or What To Seek? It’s funny that a”blog” ago, I was so consumed with gadgets that I ‘ve been itching to have. For about a month now I’ve gone through like forever reading reviews, browsing through catalogues about which electronic items stand out among their league from cameras to mobile phones and computers, etc.- I could have written a book. Until last Friday, I was working overtime and in between, I’ve been going back and forth through websites for the same exhaustive quest. I just had to stop when lunchbreak came as I have to rush to our weekly Bible study. The text during that day: Matthew 6:33: “But seek ye first the Kingdom of God and His righteouesness and all these things shall be yours as well”. POW! Coincidence? I don’t think so! It struck me head-on, right in the face and for a moment it was like I was wearing neon sign flashing the word “guilty” in front of the brethren. I could still recall the time when I got my very first mobile phone. Although at that time, it was not the hottest on display. In fact it was a second hand unit sold to me on installment basis by a friend who was upgrading to another model. It was like 4 or 5 models behind what’s in at that time. But even so, I was so happy and proud to have one. Being someone who works on a minimum wage, it’s the best that I can have back then. Back at home, we didn’t have a huge TV, cd player, computer which led me to crave for these things that my friends have. Then it was time to work abroad for the first time. Although I was getting a higher compared to working back in Manila, it was still relatively low compared to the standard rates. So after sometime, I was able to buy a second-hand desktop computer and of course, it made me happy and to add to that happiness, an unlimited internet connection- what else could I want? Working abroad, it was easy to have these things so I thought it was time for an “upgrade”. I need to have a laptop just like everybody else. So on credit I was able to have my very first laptop and I couldn’t be happier. Time went on when my attention was not only into such things. I spent on clothes and other things- most of them were not really “as-needed” things of that nature. It came to a point where the income that was just enough was overwhelmed by spending spree. The only solution I could ever think of is another higher paying job to which God has answered me with a big “YES”. I was employed to a company who pays me at least 3 times as much and I promised myself that I won’t let it get to me. My expenses should remain at a manageable level so that I can save. Yet again, out of my stubborn human nature, I was lured into a higher level of spending spree. I can’t even barely count on the spot how many mobile phones I’ve had, got myself an enormous flatscreen, life insurance (Ok this is rather reasonable), got myself another laptop, had a trip to Italy and bought a car on installment basis- all of which in a span of one year! I couldn’t believe it myself! I’ve come a long way from making both ends meet, to paying for a second hand mobile phone, to sending money back home, to paying for my monthly credit card bills, life insurance and car and still wanting more. I would still say that this new job I had is a blessing. Although God has given me this job even though He knew I was stubborn, He has a way of reminding me through His Words and has been continually restoring me to what is right. That moment when I came to the Bible study was an immediate wake up call when earlier I was still so into “what to buy” frame of mind. It was clear that I have been laying up for myself “treasures on earth, where moth and rust consume and where thieves break in and steal..” as Matthew 6:19 puts it. Instead of seeking for His eternal Kingdom, I’ve been wanting things that are temporary and everything else that won’t matter in the end. So for now, I have perished the thought of say, getting a BlackBerry while my current mobile phone still serve its humble purpose. I don’t need another laptop upgrade or another titanic LCD TV or a DSLR camera. Until I prioritize the essentials of practical life, that electronics catalogue can gather dust in the shelves for some time. I’ve never considered photography as something that would really get into me until I purchased my modest Lumix point-and-shoot digital camera. My tekkie officemate on the otherhand happens to be an enthusiast and started giving inputs on basic photography and about cameras specification. The more I listened to him, the more I started to like the craft. Ok, so this is a rather high-end model as entry level for me however, i thought that if I’m gonna buy something it has to have the most features that I don’t have to buy another upgraded version. The only thing I am afraid of is that this interest in photography might turn out to be just a fancy afterall. I know myself better so I’ve been thinking about it a lot- as of yet. 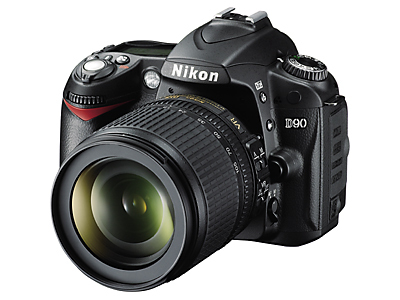 Or perhaps I should get a lower-end model like that of the D3000. Until I decide I really want to be into photography, getting a DSLR remains in the “things (yet) to buy” list. The bane of having this is that when you’ve spent for the camera, it doesn’t end there. You will have to buy the lens which are actually priced higher than the camera itself. At the same time, I’ll be carrying around a camera that is bulky in itself along with the tripod and other accessories. As a fan of light travellers, I’m not sure if I can handle that. The 3rd generation is latest of the iTouch series. I have the 2nd generation and the only difference I’ve seen so far is that the 3rd gen version has bluetooth and voice recorder which is not really a big thing for me. iTouch has been a handy companion for me especially during the Italy trip. Instead of the earphones that come with the kit, I had mine paired with a Bose “in-ear headphones” (add this to the list) which made listening pleasure even more pleasurable. As someone who likes music a lot, I guess this would be no.1 if I would itemize the gadgets in this list. You can also install different aps so there’s more than music and videos to this wonder toy. I just couldn’t get enough. The moment I saw this lappy firsthand in one of the Sony showrooms here, I fell in love with it immediately. Aesthetically, it’s already stunning but the real kick is with its specs, boasting its Intel Core i-520M Processor, 4GB RAM, 500GB Hard Disk space and LED HD Display. With these specs, what else could go wrong? How else could it be possibly a wrong choice? The only painful truth is that it’s rather costly and Sony Vaio has kept its rep that way. I wish it was more affordable. In as much as technology nowadays is about down-sizing and mobility, I still prefer having a desktop computer to use as something that is intact in its spot in a certain part of the house. It looks nicer on the computer table compared to a laptop where you’ll see all the wires connected all over it. Specs-wise, HP Pro 3010 processes data with Intel Core 2 Quad and has a dedicated 1GB VRAM- imagine its performance. 500GB Hard Disk I guess would be more than enough for me. Since I tried on a Samsung mobile phone, I haven’t changed my brand to date. I’ve switched to about 4 models and currently I have 2 mobile phones all of which are Samsung. Samsung Omnia II’s 3.7″ AMOLED display gives out a bright and truly brilliant picture quality. It’s got 5mega-pixel camera and a common observation among the reviews I’ve read is its highly-responsive to touch feature making it standout among its league. WiFi and bluetooth are inclusive in this 3.5G Smartphone. Its 800 MHz Qualcomm processor promises a good performance with very minimal lag or none at all. I’m planning to upgrade my Samsung Corby Messenger with this one. 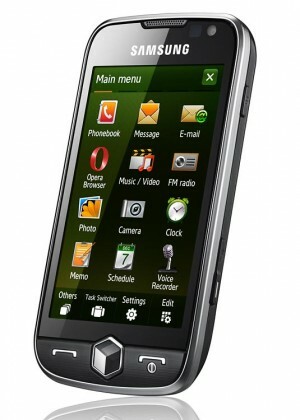 But with it’s pricey tag, I might opt for a BlackBerry Curve 8900 instead which is rather cheaper than this one. Say hello to my possibly next mobile phone. I’ve always wanted to have a “berry” and I guess this would be it for me. It has lower specs than that of the Omnia II in terms of its camera (3.2MP vs. 8MP) and 512 MHz processor against Omnia II’s 800MHz. But then again who would care if you’re holding a BlackBerry LOL! One of the perks that added to my interest is the BlackBerry messenger system and the TwitterBerry. With it, you can update your “twits” in class with a signature BlackBerry footer at the bottom of the message as with the email. These functions though are to be set with network provider for additional costs. These are just some of the things I could think of as must-haves for me in this very “tekkie” moment. At the end of the day, you can have the highest end of the product lines, the most up-to-date gadgets but after sometime they get obsolete especially nowadays when the turn-over gets quicker everytime. And of course, as human beings we never get contented with what we have. It’s fun to be updated with the latest technologies but don’t let it get to you to the point that you set aside what’s more important such as bills, rents, loan payments, your savings for the rainy days and of course in my case particularly, my LO (Love Offering) to the church which by the way, I haven’t given in a while (blushes in shame). Oh yes! I’m back bigtime! It’s been awhile since I last checked in! I know right, it’s been ages and I have been very busy with a lot of things. So to catch up, I’ll give a brief run-through of what kept me out of touch. December 2009 – Went on vacation in Manila. Spent the holidays for 3 weeks or so. I thought it was rather short but I gotta get back to work “to pay the rent” as they would say. January 2010 – Back in the mideast. Still not over the “vacation mood”. February 2010 – Work started to pressure poor me. Basically working 12 hours a day, 7-days a week, sitting in for somebody else who was on vacation that time. The thing about it is that I pitched in for somebody who was at everyone’s expense. March 2010 – I turned 32. I don’t celebrate getting old so no bday bash. April 2010 – Our office moved to a new location and I was one of the assigned to go through the specifics of moving everything and everyone’s stuff from the old to the new building. It was a really tough situation working from early morning to about midnight, moving around the new building and setting up the offices of everyone. Though there were movers who carry boxes and drops them to the specific offices, we’d sometimes help to finish the job faster. May 2010 – Everything was set up in the new building. Things are in place and everyone’s fine and dandy. From mid-February till now, I’ve been working during the weekends. Although there’s basically nothing to do in the office during weekends, it’s still different when you wake up when you want to not worrying that you’ll be late for work. The good part though is the happy paycheck I’ve been enjoying since then. oh well, it’s like that!